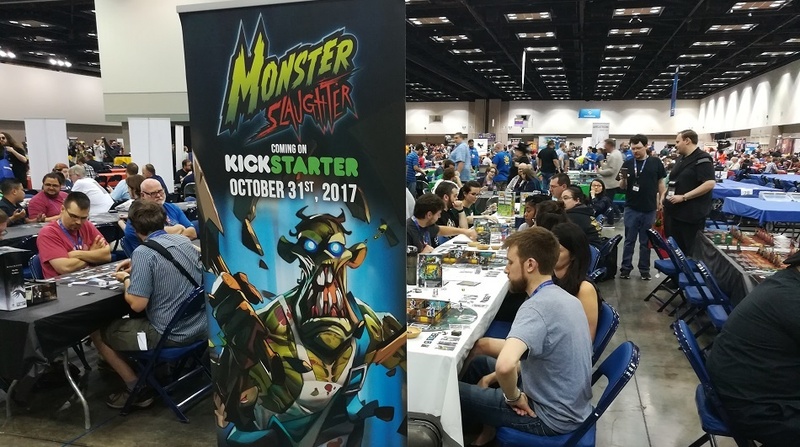 Monster Slaughter was at this year’s record-breaking 50th Gencon – and even more of a hit than we’d expected. Every seat was quickly filled by players just dying to be monsters. Their rave reactions to our newest game made us as giddy as teens looking forward to a week in the woods without their parents! We made a few pit stops on the way home – at L'entre-jeux (Mascouche), La Revanche (Québec), L'Imaginaire (Québec) and La Récréation (Montréal) – where we were welcomed just as warmly! 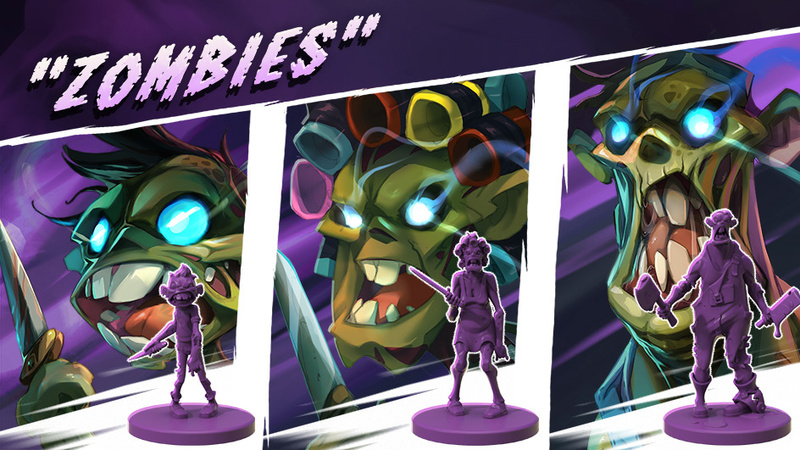 After the Burst of Energy that Gencon and our pit stops gave us, Kickstarters are in for a real treat this Halloween – and that’s no trick! If you have any doubts, check out the links below. Oh, and one last thing before we go: a big shout-out to Distribution Dude for their kind help in Canada and to Nick Atkinson and Janna-Lee Robertson for their custom board game bowls. 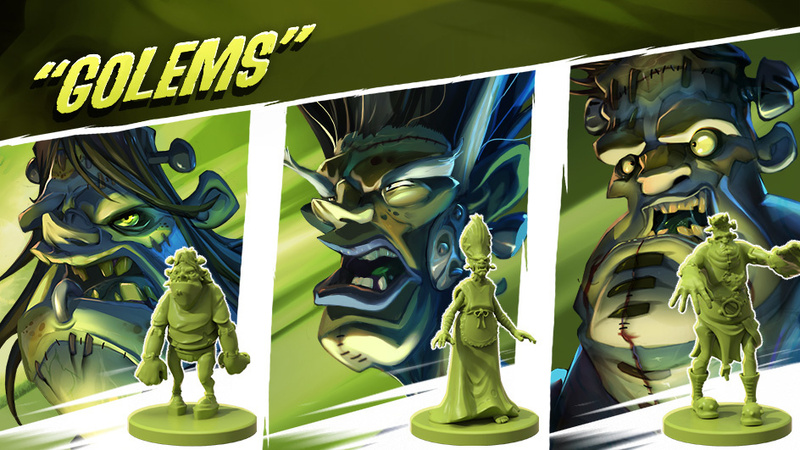 They were a (cough) monstrous hit with our players! 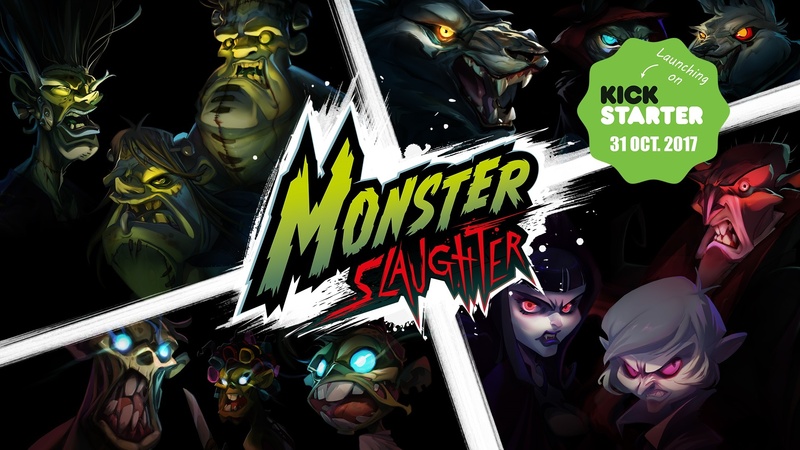 Stay tuned for more Monster Slaughter news in our next newsletter!